Lewes has always been a bus hub. We still have a bus station, although it is in a poor state. 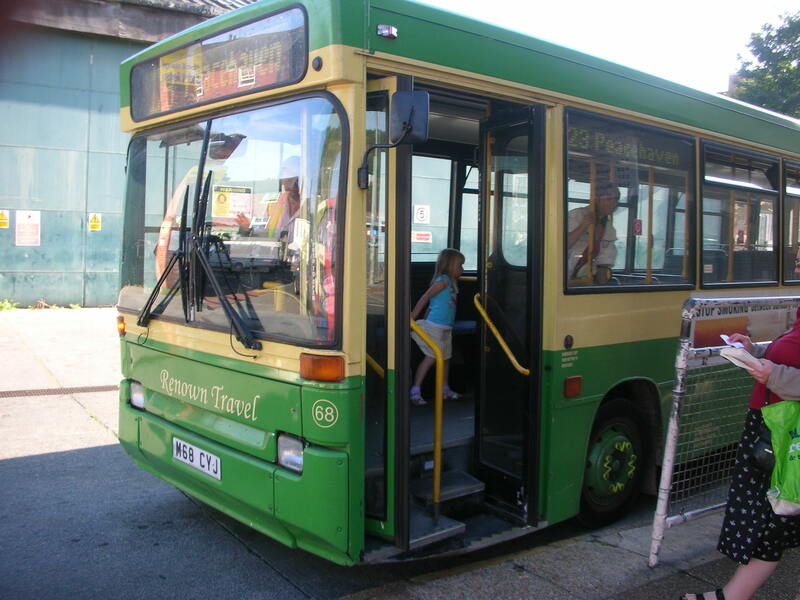 The Brighton and Hove Bus Company run services to Brighton, Ringmer, Uckfield and Tunbridge Wells. Local Buses run to Haywards Heath, Burgess Hill, Plumpton, Ditchling, Chailey, Newick, Newhaven, Peacehaven, Laughton, Hailsham, Firle, Glynde and Alfriston. Pages in this section tell you about the services and tickets that are available. In countries like Switzerland huge numbers of people use public transport. In part this is because it is possible to buy a pass for a week or a month or a year which entitles you to use all trains buses and trams in a given area without further charge. So for any given journey it is likely to be far more cost effective to use public transport than to take a car. Sadly, we don’t have anything this comprehensive in Sussex, but there are tickets that will help you navigate around our privatised bus network. Outside of London any bus company can decide to operate any bus service it thinks it can make a profit on. In Lewes Brighton and Hove buses operate services 28 and 29, to Brighton, Tunbridge Wells and Ringmer. Compass bus operate most of our local services on this basis. CTLA and Compass bus do not get any subsidy either. The county council has to decide what other bus services to run. It then sends out tenders to bus companies. They reply saying how much subsidy they want to run the route according to an agreed timetable. The county council sets the fares. Following funding cuts there are few council funded services but Lewes Town Council has decided to provide subsidies to increase frequency on Lewes Town buses to the Nevill and Landport estates.